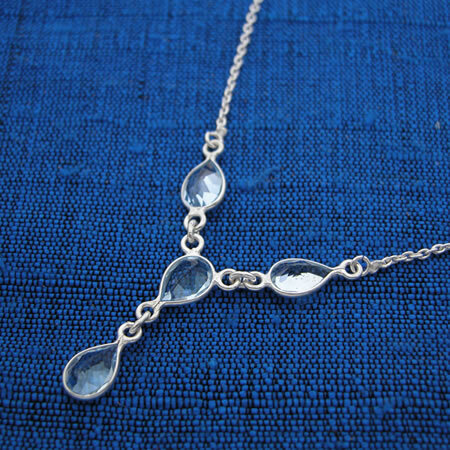 Topaz teardrops necklace handmade in India. Light and delicate faceted teardrops are bezel set so the vibrant color of Blue Topaz ,Smoky Topaz,Amethyst or Garnet can work its magic. Matches with earrings E501! Please note: Blue Topaz version is $16.50, others stones are $8.75.